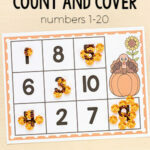 We have been doing lots of number recognition and letter recognition activities. 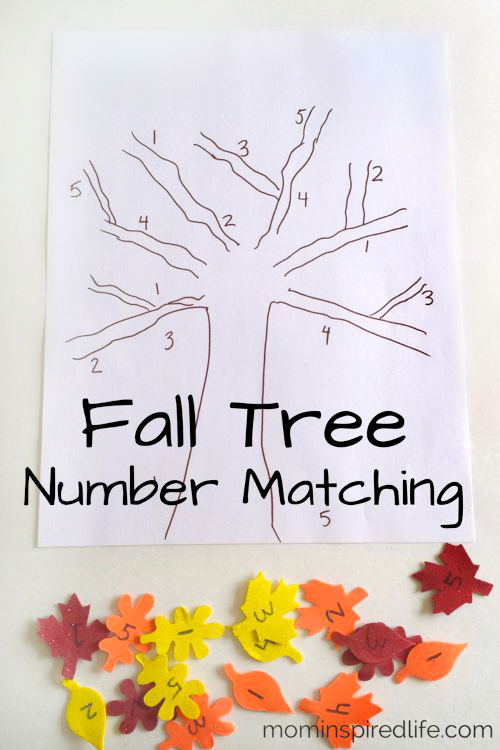 This fall tree number matching activity is among our favorites so far. We have been enjoying learning about fall this week and the #PlayfulPreschool Education Team is bringing you lots of activities related to fall colors. This will be a fantastic resource for your fall theme preschool lessons, so don’t forget to check out all of the activities at the bottom of this post! 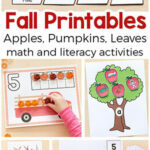 My Apple Tree Letter Matching activity was a big hit in our home, so I decided to do a similar activity with fall trees. This time I wanted to work on number recognition, but you could definitely do letters, shapes or colors. 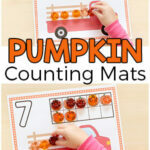 Check out these fall tree counting mats too! Leaf stickers – I got mine at the Dollar Tree and they had tons. I have also seen them at craft stores. You can also use leaf table scatter and glue to the paper. 1. 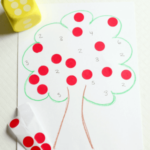 Draw a tree with no leaves on a sheet of paper or print out a tree template with no leaves. 2. Write one number on each leaf. 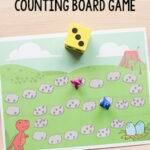 I decided to work on the numbers 1-5 and repeated them a few times. 3. Write the numbers 1-5 around the branches of the tree and around the bottom of the paper several times. 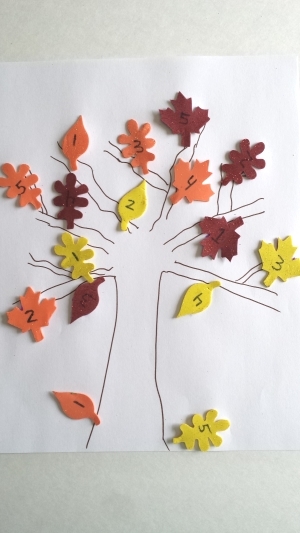 Just give your child the leaf stickers with all the numbers written on them and have them match the leaves to the numbers on the tree. By the time they are done, you will have a beautiful fall tree to hang up and they will have had a lot of practice with number recognition. I bet they will have a lot of fun too! For more fall learning fun check out the resources below.